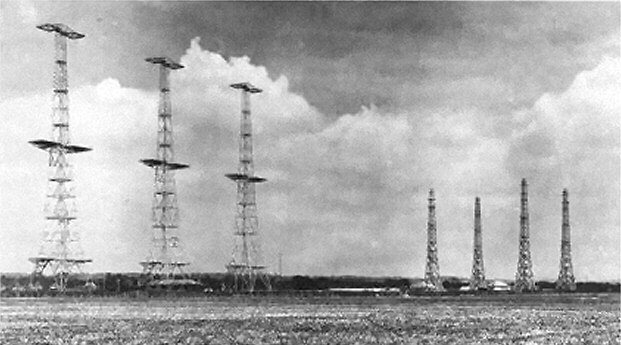 Thank you so much, you Brits, for keeping the history of Chain Home active–we in the US owe you so much, and while we both gave much in the 39-45 time period, the history of Chain Home should never be forgotten–I spent 43 years working jamming of radar systems, but there was never a more effective radar system in all of History than Chain Home. That’s cleared my thoughts. Thanks for coitgnbutinr. Dear Katherine & Jean, Thanks for the article. My father (Bob Wheatley) served as a radar technician on the CH radar from earlyy 1940 at Great Bromley. He told me many stories of his experiences. He was initially a civilian (from Radio Rentals) but was “persuaded” to enlist in the RAF by May 1940 (infantry or worse the navy was the alternative!). He told me that the normal watch had 3 personnel (in receiver block) – is that right? The only civilians he told me about (other than visiting boffins) were the Post Office engineers maintaining the “computation” gear. He said his were a solitary wierd bunch. Could your “Headache” be a really wierd one of these engineers? Or maybe a Boffin trying to improve the operation and procedures? Please do get in touch with me as I have many memories from my dad to share! In 2010 I published a 90-page booklet on the radar station at Great Bromley, spelling out a lot of the events, techical side + some personal details. I have been interested in the subject for many years and have a lot on Gt Bromley down to site plans, photos and performance diagrams. I also have the names of about 35 people who served on the station at various dates from 1938 to 1945. I’d be very interested to hear from you about your Dad’s recollctions. Julian Foynes (check me out as J P Foynes on British Library Catalogue or Amazon–though they haven’t listed this particular radar book yet). I grew up in Great Yarmouth during the war. In 1957 I went ot Canada and in 1959 joined the RCAF as a Rdr Tech reciving my training at the famous RCAF Stn Clinton Ont. Unfortunately now closed. I served 37 years in the RCAF retiring in 1996. I have remained with them since now having worked in radar for 53 yrs. I have been very involved in triyng to retain as much of our radar history as possible in our various museums. On the west coast of Canada on Vancouver Island there is the remains of what I believe is a CHL radar antenna whixh we would like to get restored however generating interest ($$$$) is proving difficult. I noticed that you had pulbished a 90 page booklet on the radar at Great Bromley and I was wondering if I could purchase one for my collection of radar memorabilia. I look forward to hearing from youi. Sorry to have overlooked your mail. I’m phonable on 0208 570 0534. Do give me a ring. 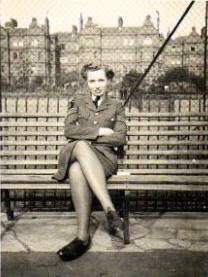 Dear Mike, my sister Jean Semple will be 90 on March 11th. I’m sorry I didn’t reply to your e-mail earlier but I didn’t know there was acomments section on tjhe Spitfire site. Anything you might wish to say to my sister could be relayed to her in time for her birthday. Her memory is now quite bad but she has highly detailed recollection of the technical aspects of her job. Do please send any comments to me and I’ll pass the on and check back with you. I have just come across your post and would be very interested to hear your father’s memories of his time in Gt Bromley. 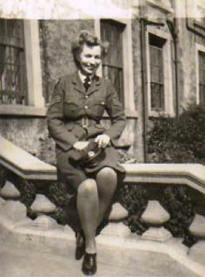 I am compiling a (social) history of Gt & Lt Bromley and am very interested in the wartime period. Dear Katherine, could you please send me a copy of your article about Jean. Katherine, please send me a co9py of your story on Jean. My father’s name was Edwin (Jerry) Wallace Patrick and was involved in radar during WWII. He passed away in 2003 at the age of 86. Unfortunately he shared very little about his experiences and am wondering if anyone might have any articles available for me to read. He was stationed in Florida for a bit before going overseas.